I am guilty of having items in my wardrobe that just sit there and take up space. A particular pair of jeans I own was ripped one of the first times I wore them because I fell off my bike (ouch!). They fit fine at the waist, and are a nice, dark wash. 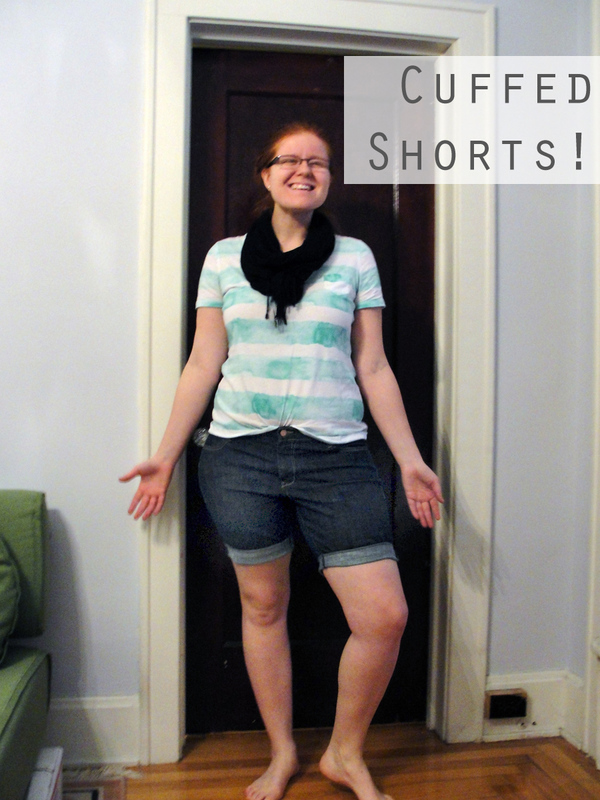 I decided to transform my jeans into shorts! I already have a couple other pairs of grungy jeans to wear during projects or messy outside work, so this pair was the perfect candidate. Since I wanted a folded-up look, I put on my pants and marked the length I wanted them to be when finished, and estimated where I would cut to roll the hem up twice. After cutting, I ironed and pinned the jeans at my desired length. I tried the jeans on one more time to be sure the look was what I wanted. I sewed a simple line with white thread at the top of the fold, using my machine. That’s it! 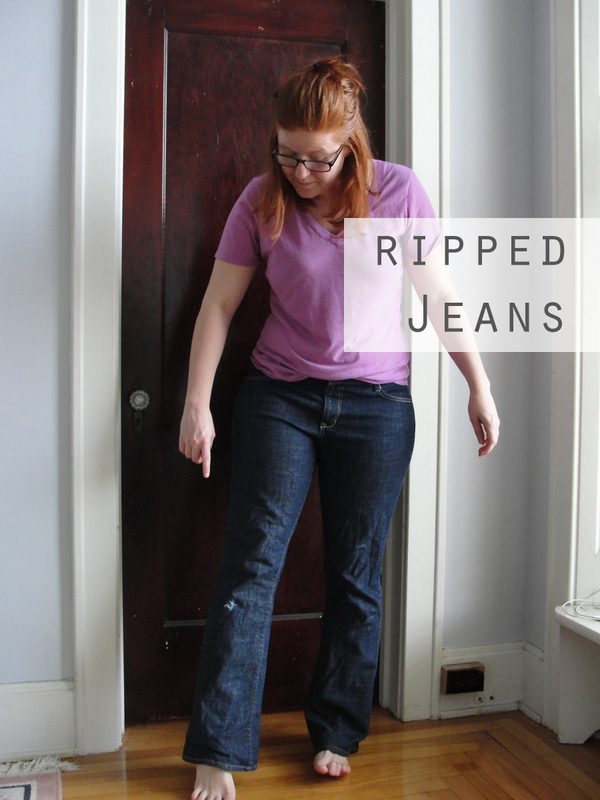 This was a super fast refashion for jeans. I know I’ll get more use out of the shorts than I did the torn jeans. 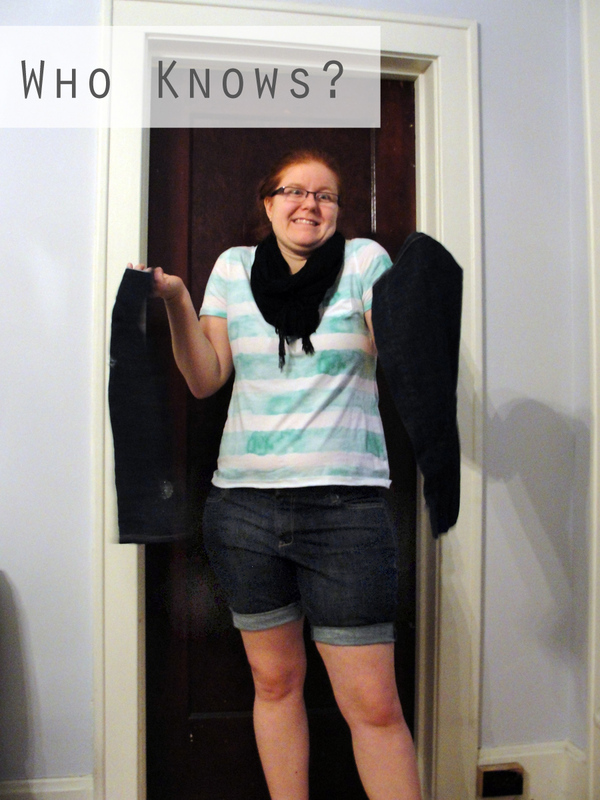 Now I just need to figure out what to do with two denim legs! Make a jean picture frame! I saw one at target and when I read you blog I remembered it. Huh! Maybe I’ll try it!